It was mid-October 1973 when, after a gruelling 26-hour train ride from Karachi, I reached the physics department of Islamabad University (or Quaid-e-Azam University, as it is now known). As I dumped my luggage and “hold-all” in front of the chairman’s office, a tall, handsome man with twinkling eyes looked at me curiously. He was wearing a bright orange Che Guevara t-shirt and shocking green pants. His long beard, though shorter than mine, was just as unruly and unkempt. We struck up a conversation. At 23, I had just graduated from MIT and was to be a lecturer in the department; he had already been teaching as associate professor for five years. The conversation turned out to be the beginning of a lifelong friendship. Together with Abdul Hameed Nayyar – also bearded at the time – we became known as the Sufis of Physics. Thirty six years later, when Faheem Hussain lost his battle against prostate cancer, our sadness was beyond measure. Revolutionary, humanist, and scientist, Faheem Hussain embodied the political and social ferment of the late 1960s. With a Ph.D that he received in 1966 from Imperial College London, he had been well-placed for a solid career anywhere in the world. In a profession where names matter, he had worked under the famous P. T. Mathews in the group headed by the even better known Abdus Salam. After his degree, Faheem spent two years at the University of Chicago. This gave him a chance to work with some of the world’s best physicists, but also brought him into contact with the American anti-Vietnam war movement and a powerful wave of revolutionary Marxist thinking. Even decades later, Faheem would describe himself as an “unreconstructed Marxist”. Participating in the mass anti-war demonstrations at UC had stirred his moral soul; he felt the urge to do more than just physics. Now married to Jane Steinfels, a like-minded soul who he met in Chicago, Faheem decided to return to Pakistan. Faheem and Jane made an amazing couple. Fully immersed in the outstanding causes of the times, they seemed to have a limitless amount of revolutionary energy. Long before I knew them, they had been protesting against the Pakistan Army’s actions in East Pakistan. As Faheem would recount, this was a lonely fight. Many Marxists in those times, inspired by Mao’s China, chose to understand the issue in geopolitical terms rather than as a popular struggle for independence. Some leftists ended up supporting the army’s mass murder of Bengalis. With Bangladesh now a reality, things moved on. Bhutto’s rhetoric of socialism and justice for the poor had inspired nascent trade union movements to sprout across Pakistan’s cities. Many, however, quickly turned into organizations for labour control rather than emancipation. There were genuinely independent ones too, such as the Peoples Labour Federation (PLF), an independent Rawalpindi based trade union that saw through Bhutto’s shallow rhetoric. In the early 1970s, Faheem and Jane were highly influential in this organization, sometimes providing security and cover to its hunted leadership. Iqbal Bali, who passed away in the middle of this year, would vividly recount those days. Very soon, I joined the small group of left-wing activists that looked up to this couple for instruction and guidance. We formed study groups operating under the PLF, both for self-education and for spreading the message through small study groups of industrial workers. Some, including myself, branched out further, working in distant villages. Gathering material support for the Baloch nationalists, who were fighting an army rejuvenated by Bhutto, was yet another goal for the group. The dream was to bring about a socialist revolution in Pakistan. All this crashed to an end with Bhutto’s death by hanging in 1979 and the subsequent consolidation of General Ziaul Haq’s coup. Pakistan’s Dark Age had just begun. Although Bhutto’s regime had turned repressive and violent in its last desperate days, it was gentle in comparison with what was to follow. With dissent savagely muzzled, the only option was to operate underground. On Nov 3, 1981, three of our QAU colleagues and friends were caught, imprisoned, and savaged by the military regime. Jamil Omar, a lecturer in computer science and the “ring leader” – was tortured. Two others â€“ Tariq Ahsan and Mohammed Salim â€“ were also imprisoned and their careers destroyed. Their crime was involvement in the secret publication of ‘Jamhoori Pakistan,’ a four-page newsletter that demanded return to democracy and the end of army rule. Although Faheem was not directly involved in Jamhoori Pakistan, we knew he was being closely watched by the intelligence agencies and could have chosen to hide. Instead, with characteristic fearlessness, he did all that was possible to help locate the abducted teachers, and then to secure their release. But the struggle took its toll. By the mid 1980s, Faheem was in the doldrums. Situated in an academically barren environment, he was able to publish little research of worth. Politically, there was no chance of doing anything significant in the climate of repression. Things had gone downhill in personal terms as well â€“ his marriage with Jane was coming apart. To the great sorrow of their friends, the couple parted ways and Jane returned to America. Encouraged by Faheem, she had written school books on Pakistani history that are still sold and used today. In 1989, Faheem left QAU formally but his involvement in academic and political matters had already dropped off in the year or two before that. From this low point in his life, Faheem struggled upwards. Initially in Germany, and then elsewhere later, he now concentrated solely upon his profession and was able to learn an impressive amount of new physics. Professor Abdus Salam, who by now had received a Nobel Prize for his work, invited Faheem to become a permanent member of the theoretical physics group at the International Centre for Theoretical Physics in Italy. 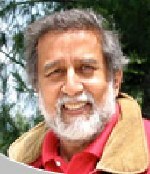 Faheem remained there until his retirement in 2004. Getting this position was no mean achievement: theoretical physics is a fiercely competitive and notoriously difficult subject. 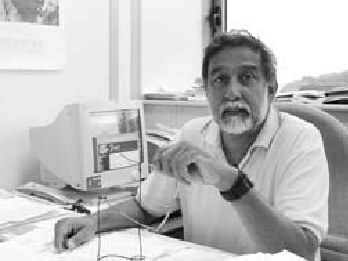 Faheem was the first Pakistani to publish a research paper in one of its most challenging areas â€“ superstring theory. With a cheerful and positive disposition, and an abiding concern for the welfare of others, Faheem quickly became popular at the ICTP. His laughter would resonate in the institute’s corridors. With time, he took on administrative responsibilities as well and was instrumental in setting up a “diploma programme” that admits students from third world countries for advanced studies in various areas. Now married to Sara, a beautiful and even-tempered Italian woman, he was equally comfortable with Italians and Pakistanis or, for that matter, Indians. To Faheem, a cultural amphibian, differences between nations carried no meaning. And then came retirement time. What to do? I wrote to Faheem: come back! He agreed. Finding money was not a problem â€“ Pakistan’s higher education was experiencing a budgetary boom. But his old university, plagued by base rivalries and a contemptuous disdain for learning, refused. Specious arguments were given to prevent one of its own founding members, now one of Pakistan’s most distinguished and active physicists, from being taken on the faculty. Initially at the National Centre for Physics in Islamabad, Faheem was eventually offered a position at the newly-established science faculty of LUMS in Lahore. Surely, there shall be many other such tributes from Faheem’s many friends. But, to be true to him as well as my own self, I must admit that in later years we did disagree on some important things – “unreconstructed Marxism” to me is an anachronism, a relic of the 1960s and still earlier, meaningless in a world that has become far more complex than Marx could have possibly imagined. Nor can I reflexively support today’s so-called “anti-imperialism” of the left that ends up supporting the forces of regressive fundamentalism. But let these issues stand wherever they do. Why is it necessary for friends to agree upon everything? From atoms to atoms â€“ death is inevitable, the final victory of entropy over order. Meaningless? No! To have lived a full life, to have experienced its richness, to have struggled not just for oneself but for others as well, and to have earned the respect and love of those around you. That is a life worth living. Faheem, my friend, you are gone. May you now rest in peace, with a job well done. (This article was originally published in The News on October 3, 2009). I heard this bad news. I remember Dr Faheem as a child when my father used to take me to secret poltical meetings and Marxist study circles at Dr Fahim or other friends houses during Zia dictatorship. I only remember the sky blue colour Suzuki van 1976 model which Dr Fahim used to drive and there were a lots of stuffed teddy bears at his house. I think there was awomen’s co-operative in Islamabad which used to make those pandas. Rest In Peace Dr Faheem. Im just sad. Hearing this. Im even more sad, that theoretical high energy physics, superstring theory and mathematics are practically non-existent in Pakistan. He was a string theorist probably a good one, spent only 5 years in Pakistan. And now he is no more. When will science flurish in the same way as it did centuries ago? Thanx for acknowledging us of our great fellow men. Thanks for posting this article on a worthy personality. We need to highlight more of such personalities who wanted to make a difference by abandoning cozy lives in West for bellicose ones in Pakistan for the only aim of bringing a change. You people give us hope and when I despair of the prospects of young thinking minds in this country I look up to such heroes and say to myself “you can do it as well”. Very informative and quite fascinating. 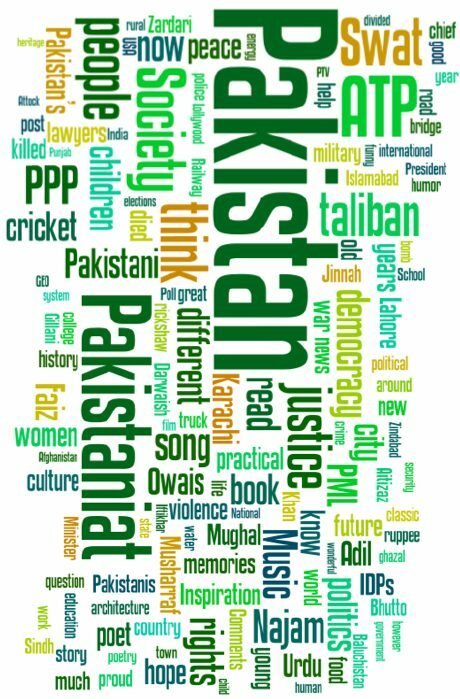 I wonder how such intelligent, committed, and genuinely engaged individuals might have a bigger impact on shaping Pakistan’s destiny.